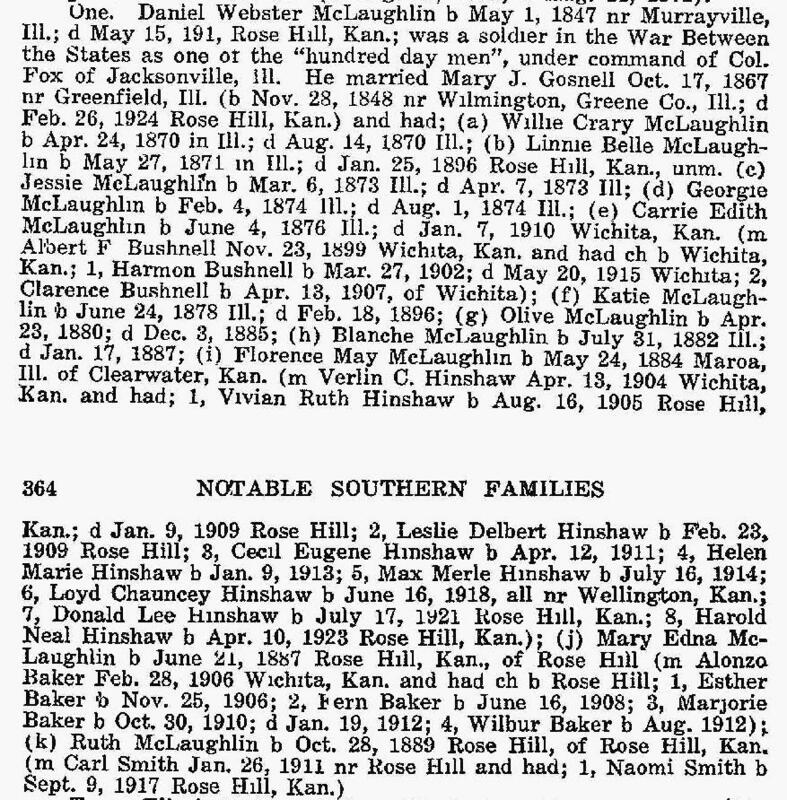 He married Florence Mae McLaughlin7,14,16,17 [Florence May McLaughlin2,15], Apr 13 19047,14,16,17, Wichita, Sedgwick County, Kansas7,14,16,17. Florence, daughter of Daniel Webster McLaughlin & Mary J. Gosnell3,6,7,9,16,18, was born May 23 18843,6,7,9,16,18 [May 24 18842], near Maroa, Macon County, Illinois3,6,7,9,16,18. Hinshaw, V.C., head-of-household, age 28, born in Indiana; father born in North Carolina; mother born in Indiana; first marriage, married 6 years; occupation: farmer, general farm; rented farm. Hinshaw, Florence, wife, age 25, born in Illinois; parents born in Illinois; first marriage, married 6 years; 2 children, 1 living. Hinshaw, Leslie, son, age 1, born in Kansas; father born in Indiana; mother born in Illinois. Hinshaw, Orla, brother, age 21, born in Michigan; father born in North Carolina; mother born in Indiana; single; occupation: farmer, general farm. Hinshaw, Vernon [sic], head-of-household, age 38, born in Indiana; father born in North Carolina; mother born in Indiana; rented home; occupation: farmer, general farm. Hinshaw, Florence, wife, age 34, born in Illinois; parents born in Illinois. Hinshaw, Leslie, son, age 12, born in Kansas; father born in Indiana; mother born in Illinois; attended school. Hinshaw, Cecil, son, age 8, born in Kansas; father born in Indiana; mother born in Illinois; attended school. Hinshaw, Helen, daughter, age 7, born in Kansas; father born in Indiana; mother born in Illinois; attended school. Hinshaw, Maxie, son, age 5, born in Kansas; father born in Indiana; mother born in Illinois. Hinshaw, Lloyd, son, age 1, born in Kansas; father born in Indiana; mother born in Illinois. 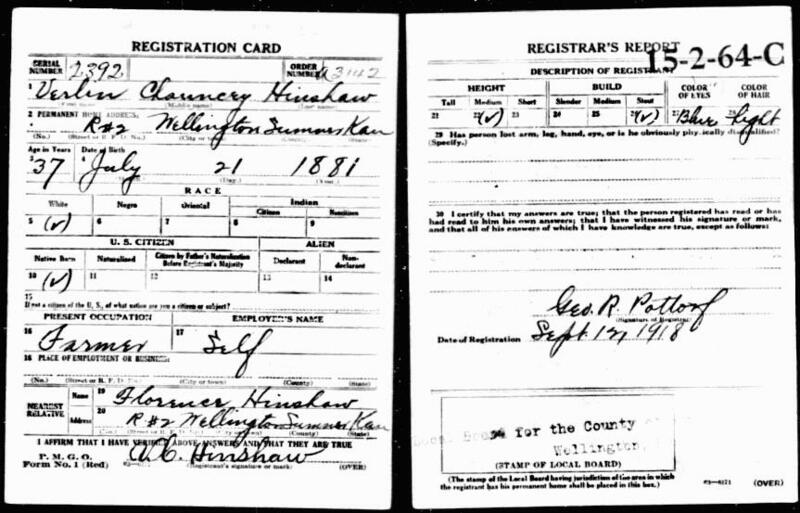 Hindshaw, Verlin, head-of-household, age 48, born in Indiana; father born in North Carolina; mother born in Indiana; first married at age 22; rented home; no radio in home; occupation: farmer, general farm; not a veteran. 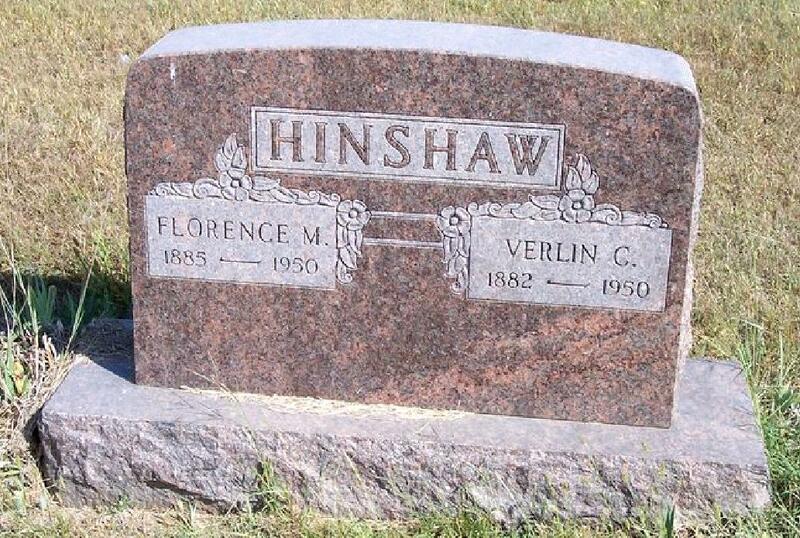 Hindshaw, Florence M., wife, age 45, born in Illinois; parents born in Illinois; first married at age 19. Hindshaw, Cecil E. - Ab, son, age 18, born in Kansas; father born in Indiana; mother born in Illinois; attended school; occupation: newsboy, paper route. Hindshaw, Helen M., daughter, age 17, born in Kansas; father born in Indiana; mother born in Illinois; attended school. Hindshaw, Max M., son, age 15, born in Kansas; father born in Indiana; mother born in Illinois; attended school. Hindshaw, Lloyd C., son, age 11, born in Kansas; father born in Indiana; mother born in Illinois; attended school. Hindshaw, Donald L., son, age 8, born in Kansas; father born in Indiana; mother born in Illinois; attended school. Hindshaw, Harold N., son, age 6, born in Kansas; father born in Indiana; mother born in Illinois; attended school. Hinshaw, V.C., head-of-household, age 58, born in Indiana; completed 8th grade; on Apr 1 1935 was living in the same house; rented farm ($5/month rent); occupation: farmer. 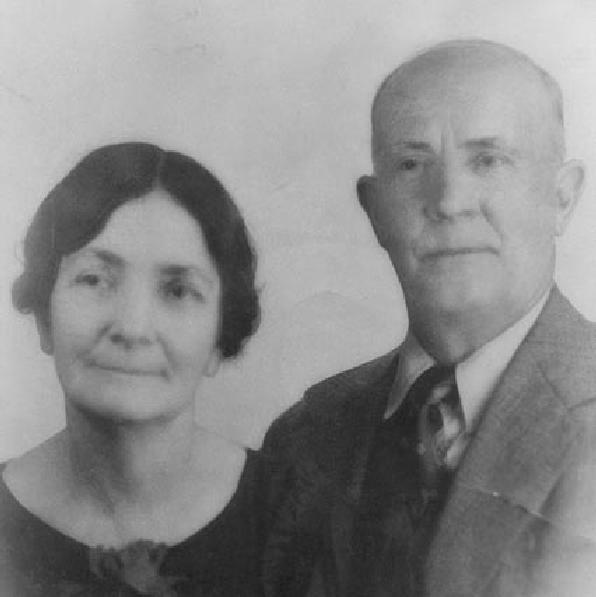 Hinshaw, Florance M, wife, age 55, born in Illinois; completed 8th grade; on Apr 1 1935 was living in the same house. Hinshaw, Harold, son, age 17, born in Kansas; completed 4 years of high school; on Apr 1 1935 was living in the same house; attended school. Verlin Chauncy Hinshaw died Feb 28 19507,15,23, Rose Hill, Butler County, Kansas7,15,23 [Wellington, Sumner County, Kansas14]; buried Friends Cemetery, on Silknitter Road, east of Rose Hill, Butler County, Kansas7,15,23. A genealogical sketch of Florence Mae McLaughlin's family was published in the 1926 "Notable Southern Families"2 (see scan below). 1920 census, Sumner Township, Sumner County, Kansas; roll T625-553, ED 186, page 4A, line #45, dwelling #82, family #82. 1930 census, London Township, Sumner County, Kansas; roll T626-724, ED 23, page 2B, line #68, dwelling #42, family #43. Death certificate of Donald Lee Hinshaw. 1940 census, London Township, Sumner County, Kansas; roll T627-1263, ED 96-23, page 4B, line #53, household #88. Obituary of Verlin C. Hinshaw. 1900 census, Pleasant Township, Butler County, Kansas; roll T623-473, ED 18, page 3B, line #97, dwelling #61, family #62. 1900 census, Pleasant Township, Butler County, Kansas; roll T623-473, ED 18, page 3B, line #83, dwelling #58, family #59.